Montreal-based start-up Wiseleap has won the US$50,000 grand prize in note-taking app provider Evernote‘s global developer competition — turning it instantly into one of the most profitable NFC applications ever. 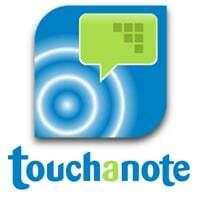 Wiseleap’s Touchanote Android app is designed to turn any object or place into a digital reminder. A sticker placed on a refrigerator can be used to instantly open a grocery list on an NFC phone, for example, or a sticker on a remote control can launch a video that reminds the user how to operate it. Congratulations to Hamid Zaidi and the team!